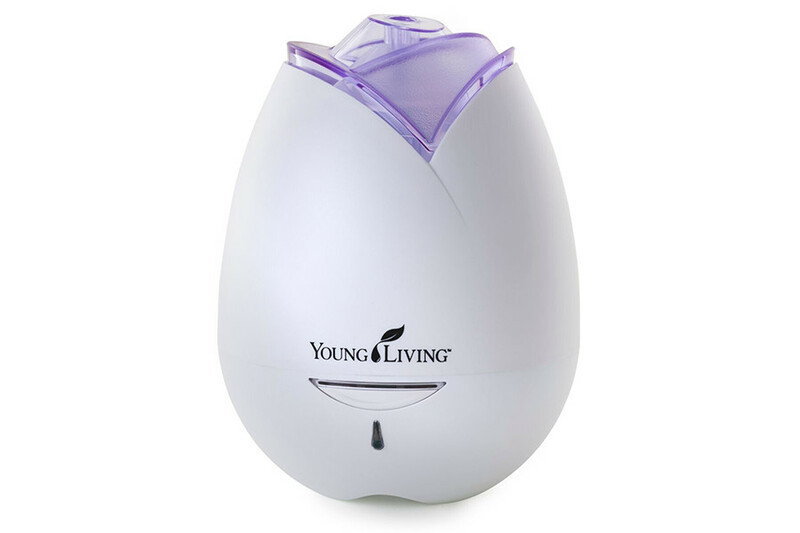 I have found one of the easiest ways to get comfortable with essential oils is by using a diffuser to fill a room with a wonderful, helpful smell. Several decades of research show a direct link between the brain and smells. It’s why when I smell Aramis, I see myself dancing on top of my Papa’s feet. I feel safe and warm and happy. The limbic system connects what you smell to how your brain reacts. Don’t take my word for it though. Read up on it here or here. Point being you can use one or several oil aromas to improve your health, change your mood, or even change your state of mind. Since I’m still getting started, I wanted to test out a few different diffusers to be able to recommend them honestly. Here’s my rundown. Very quiet, with the occasional water bubbly sound, which I personally love. Large basin of water means it lasts a long time. I can change the color of the lights to fit my mood, or turn it off. It’s a perfect night light. Only one I have that you can adjust the amount of mist coming out. If I put this in a smaller room, I turn down the flow so it doesn’t overpower the space. Great feature. Also has ionic air purifier as an extra feature, but I don’t use it often. Cleaning is pretty simple because it’s an open basin and simple lid. I use a cotton swab to get in the one hard-to-reach spot. It requires two hands. 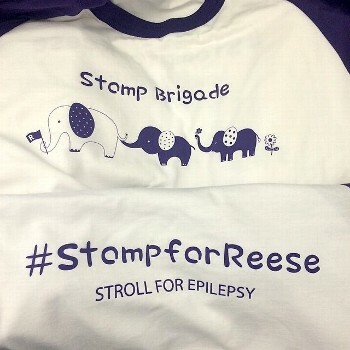 Reese is always on my hip, so it’s important to me that I be able to take off the lid, turn it on, with one hand. So, this one stays in my bedroom where I am normally toddler free at night. I worry that it gets a little warm sometimes, probably from the lights, and oils aren’t supposed to be warmed up, so I have debated returning it. But I love how quiet it is and I hate to give it up right now. Must not be too bad then, right? Recommended for: Large rooms, light sleepers, and people who want their oils smelled but not heard. Being my first diffuser, I didn’t know what else to expect and I was so in love. Love the shape, the light color, but probably most of all the mist. It’s a very strong, steady flow and really seems to fill our large living room. It’s fairly quiet, but compared to the above Sain Sonic, it seems loud. It’s sturdy. With cats and kids, I was worried about a tall, skinny stand being easy to tip over. Also, for me it needs to be shorter than our table lamps. We all have one by our bed, so this shape is a good fit for the bedside table. One button on and off, light or no light, is all easy to do with one hand. The unique design of the tulip lid makes it hard to clean. I don’t do this often, but I can tell it bothers some people a lot. The design has an opening inside the basin and I think it’s too easy to get water in there when you are emptying or cleaning. It’s easy to avoid if you realize water shouldn’t go there. Cleaning this one is a little harder, because of the lid. You can soak it in a cleaner solution or use the cleaning sponge that comes with it. But you don’t have to do this very often. This is the Dyson of diffusers. Meant to be about form and function, the compact size suits a bedroom well. Very quiet, very easy to operate. Small basin, but still lasts all night. It’s shorter than most, so this also makes it great for the bedside table to fit under the lamp. It’s ergonomically designed and it’s really intended to be a piece of art that sets in your room, rather than an appliance hiding in the corner. I had to have black, just because it’s so different, and I love how it looks in my kitchen. There are several colors to choose from. Cleaning is easy because of the design being so simple. Stream may not be strong enough to really fill a large space, like my kitchen. But I don’t mind. It is a perfect fit for my son’s room or our office. I am not 100% confident the automatic shut-off works, but it’s more because it lasts all night, so I have yet to see it run out of water. Because of the matte finish on the outside, it shows oily finger prints, etc., so keeping the outside clean requires a little effort, if you care that much. I think it shows up for mine because it’s black. Other colors may not be as noticeable. But I still love it and so does my son. Recommended for: The minimalist, the art lover, the small bedroom, the light sleeper.